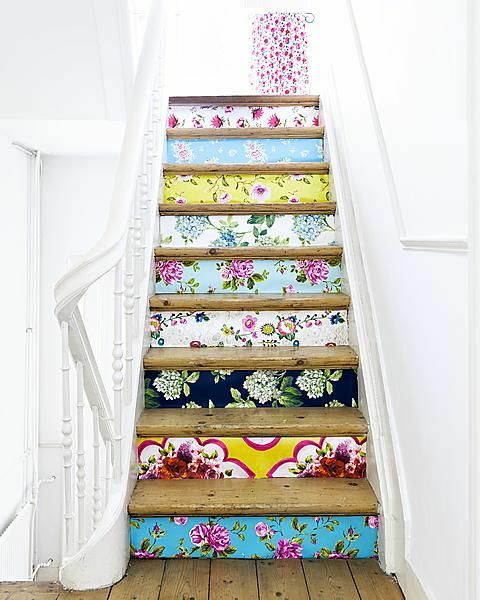 DIY Project: Wallpaper on Stair Risers! 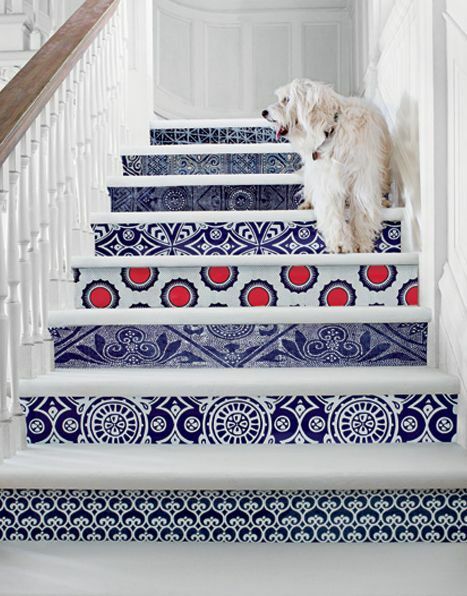 From black and white prints to the more vibrant and colorful, adding a beautiful pattern to stair risers is an easy way to bring stylish detail to the interior of your home. With numerous ways to express your own individual design style, this is the perfect time to allow those creative juices to flow! Whether you choose a pretty floral print for a more romantic and girly feel or instead opt for a chic geometric for that dash of modern flavor, this simple DIY project will truly make a statement in your home as well impress those around you by showing off your artistic talents! 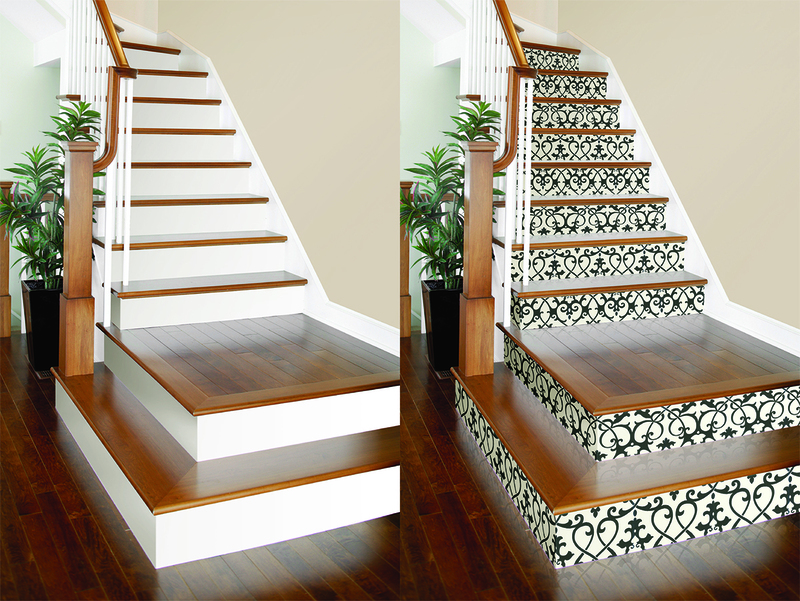 With your ruler, measure each stair riser separately as each stair could vary in size. Using your pencil, trace out each measurement on the back of your wallpaper and cut to size with a pair of scissors (read the wallpaper label to determine the exact pattern repeat, to ensure that each sheet remains proportional to one another). Next, wash your steps to make sure they are free of any dust or debris. Apply a thin coat of primer to each stair riser and let dry. This helps the wallpaper stick to the surface better as well as makes it easier to remove later. 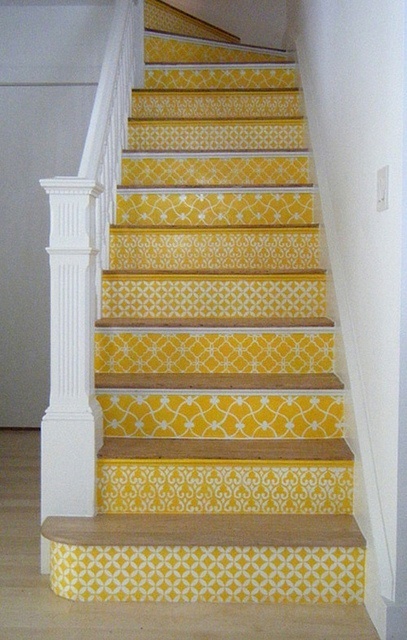 If you are using an unpasted wallpaper, apply a thin coat of paste to each stair. 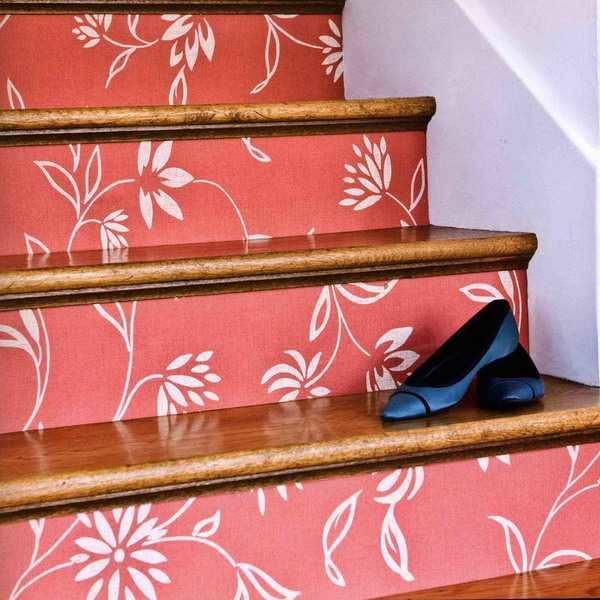 Next, press the wallpaper onto each stair riser and even into place with a smoothing tool. 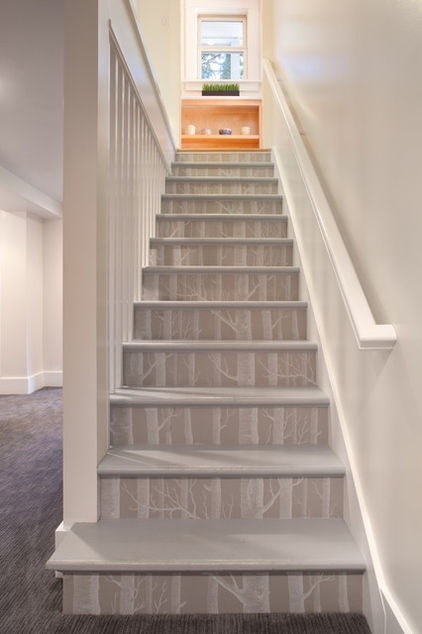 If you are using a prepasted wallpaper, refer to the manufacturer’s instructions on the correct booking time, and then use the same steps from above to apply. Wait until the wallpaper has completely dried, while making sure to wipe away any excess paste with a sponge. Lastly, apply a thin coat of glaze to protect your stairs from future wear and tear.